Change your Purse in as little as 3 Seconds with Miche Bag! 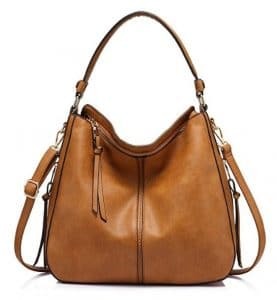 Women today lead busy, fast-paced lives and sometimes sacrifice their individuality when it comes to their handbag simply because they don’t have time to keep moving their items from purse to purse. Miche has forever changed the lives of thousands of women worldwide with the concept of simply changing the cover or “shell” of the bag rather than moving all of it’s contents. Now you have more options than ever before! With Miche you can not only customize the design but you can change the entire look of your bag by changing the handles, shell and add charmers to accent your own unique look! Mich bags are designed with hidden “earth magnets” that are extremely strong and allow you to change the shell effortlessly without worrying about it falling off. 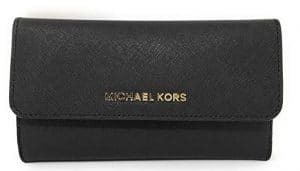 Changing your purse couldn’t be easier! To get started with Miche, choose you base bag from four available sizes – Petite, Classic, Demi and Prima. Then you choose your shell or cover from over one hundred designs with new Miche Shells being released each month! There is always something new for your Miche Purse to always give you a fresh new look! Going on an extended vacation and want to have a different bag for each day or event? With Miche you can carry many more shells than you can individual purses which will give you a new look with just the change of the shell! Miche Bags and Shells are perfect for travel because the shells pack flat and take up very little room. Miche is really a smart choice for travel now that airlines are charging for additional checked luggage. Have you ever gone to a theme park, beach, night out or anywhere else and you didn’t want to lug a purse around? Well Miche has a solution for that too! With a full line of hip bags and specialty bags, there’s sure to be a size that’s perfect for you. Want a different look for those after work parties? Miche shells can easily fit in a drawer at the office or in your car for that quick change! Just whip out your new shell and voila! You’ve got a whole new look in a matter of seconds! Shop Miche Bag Handbags Now!